Independent Software Testing in India more than half of all software projects fail to meet objectives or suffer significant schedule and/or budget slippage because defects are discovered too late. Businesses expect IT organizations to deliver higher quality systems in lesser time, and with fewer resources. Dselva provides a complete suite of Software Quality Assurance (QA) and Independent Software Testing Services to maximize software application quality, performance and availability while managing the costs and risks for our clients. Our QA services help you deliver your software with confidence and compete better in the market. This includes formulating the test plan & test cases, execution, defect reporting, defect analysis, risk assessments and recommendations. These solutions help organizations achieve predictable. Software quality gains while reducing the time and cost associated with testing. Our Team have the vision, ability to execute, and stability, expand ability to be a great testing partner for your organization. Dselva Infotech offer a customer a customized offshore Software model for delivering independent software QA and Independent Software Testing Services. 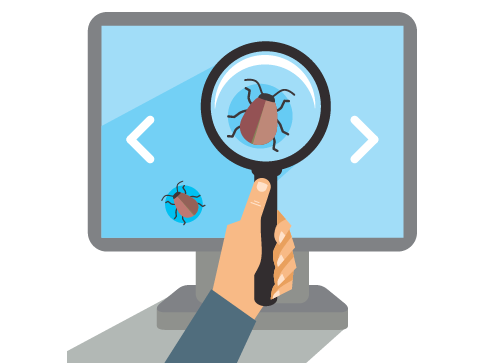 We offer independent software testing spanning the entire software release life cycle. Why Outsource Testing is in trend?